Dig up history beneath your feet during Earth Science Week! Earth Science Week with the Geological Society is back from 10th to 18th October. It’s a whole week of fun free activities for you to do! Earth Science Week is a really cool week where you can learn all about the BILLIONS of years of the Earth’s history all from the rocks, mud and sand all beneath our feet! 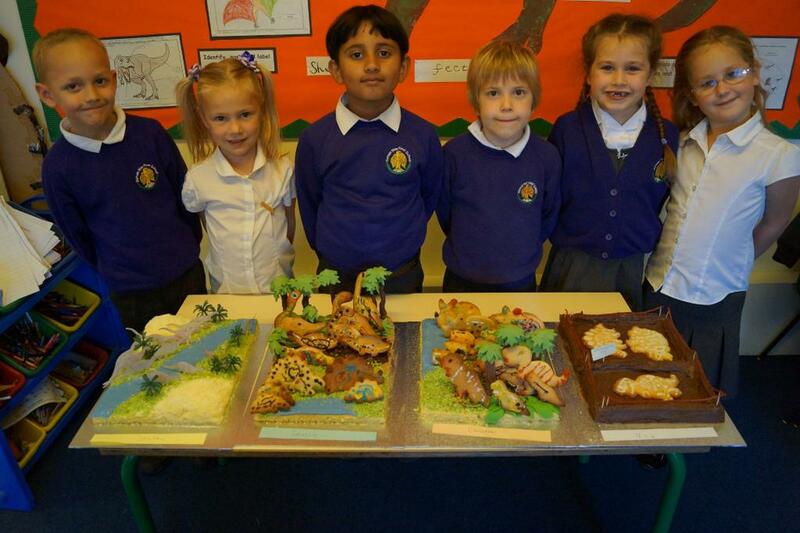 You can try a Geo Walk, bake a volcano cake and try out some cool free activities in your school. This year’s Earth Science Week is all about Geological Time – how we can tell the history of the Earth using Geology, and it’s the 200th anniversary of William Smith’s amazing geological map of England & Wales – the first nationwide geological map. Geology is AWESOME! It’s the name for the science which discovers everything about the Earth beneath our feet and it’s history. Geologists look at the Earth and try to understand how it was made, what it is made of, and how it has changed over time. We can tell a lot about the history of the Earth from lots of different rocks and mud, from finding out about what creatures lived on the Earth millions of years ago, to discovering what the weather was like where they lived. There are lots of things to get involved with, from Activity Workshops to do, Geo Walks to go on, and there are also things to do in your school, too! Click here to find out more about Earth Science Week and how you can get involved!